When you invest in Gold, you’re adding a steadfast asset to your portfolio that has been around since the dawn of civilization. 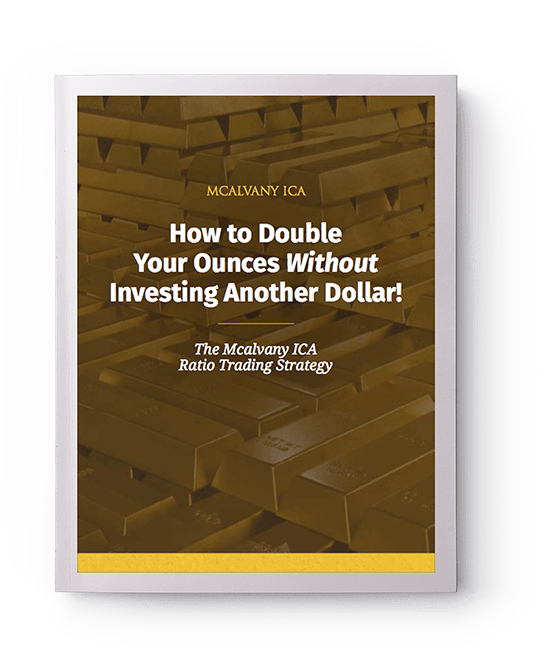 Bullion can be an important component to the portfolios of investors seeking high liquidity, privacy, portability, security and an easily referenced value. Central banks are able to create virtually unlimited amounts of their currency (dollars, euros, yen, etc. ), which waters down the value of each currency unit in existence — which is the classic definition of inflation. By contrast, gold is, and will remain, immune to inflation (it is mined at steady, predictable rates, roughly commensurate with increases in economic activity), and offers investors both flexibility and financial certainty. For millennia, gold has held consistent purchasing power and is an especially valuable investment during times of inflation and economic and political uncertainty. Buying gold bullion – in the form of gold coins or gold bars – can represent a safe and convenient way for smart investors to own gold. If you’re looking to expand your financial freedom, here are six essentials you should know before entering the world of gold bullion investment— “gold street talk,” so you can speak the language. At ICA, we specialize in Gold Bullion Bars and Coins, primarily because when you invest in these forms of gold you are investing in a physical commodity that you hold, store, claim and own outright. In other words: We believe gold bullion is a guarantee. Gold is purchased in what is known as “bullion”—a refined and stamped weight of precious metal that is kept as a store of value, or an investment, rather than used in day-to-day commerce. While many people think of gold “bullion” as large gold ‘bricks’ stored in a safeguarded vault, you can purchase “bullion” (gold and other metals) in one of two ways: Coins (rounds) and bars. So what’s the difference between a coin and a bar? Gold Bullion Coins are round pieces of gold that have the status of “legal tender” and are produced by a national government mint. Most coins also feature a face value, and their purity and weight is inscribed somewhere on the back of the coin. Gold Bullion Bars are thin, rectangular slabs of precious metal produced by private mints. Unlike coins, they are not“legal tender,” but large bars are an efficient way to buy physical gold, particularly if you plan to store your larger gold bullion investment in a precious metals storage facility. Gold bars are significantly larger in size than coins – measuring anywhere from one to ten kilograms ( 1 kilogram = 32.15 ounces) and shaped in a familiar rectangular slab. Deciding whether to choose a bar or coin is a lot like choosing what to order at a coffee shop—there are lots of decisions to make. Bullion Coins and Bullion Bars both have pros and cons. While it all depends on your portfolio goals and values, if you’re just starting out, we generally recommend starting off with coins, primarily due to their “legal tender” status, universal recognition, and ease as an entry point for getting your feet wet. Pure value. Most bars are 24-carat, or .9999% fine and most 1 oz gold bars are 99.99% pure. Spot Price – The market price of gold or other precious metal. It fluctuates from minute to minute, like any other commodity traded in the market. Spot gold prices are quoted as the price of 1 troy ounce of .999 percent fine gold deliverable now. This means you can usually purchase one ounce of gold bullion for right around this price plus the dealer’s premium. Premium – The additional cost of any precious metal above the spot price. This accounts for outside costs of doing business, including fabrication and distribution, as well as any additional collectible, or numismatic, costs for rare items. Spread – The difference between the bid price (what the dealer will pay for it) and the ask (purchase) price. It incorporates the cost of fabrication, wholesale premiums, and brokerage fees as well. The spread can be more significant than the premium. Of all the precious metals and forms of currency the world over, Gold is generally viewed as the most “lasting” investment. Regardless of market highs and lows and geopolitical headlines, gold has successfully preserved wealth for investors throughout thousands of generations. To move forward with your investment, most people traditionally turn to a “dealer” or “broker” to help. Generally, a broker is an “agent”—the person who finds the person or business who wants to sell or trade with you on your behalf and executes the trade or purchase for a commission. A dealer, on the other hand, is generally known as the person who will trade, buy and sell securities on their own account—the other side of the deal. A broker would call on a gold dealer—someone who stands ready to make a bid and offer price on gold for a client.When it comes to the broker vs. dealer argument, we prefer to choose option “C.” At ICA, we pair our clients with a precious metal advisor. Advisors put the interests of their clients ahead of their own. You want to utilize the services of the most ethical and self-regulated company in the industry. To move forward with your investment, most people traditionally turn to a “dealer” or “broker” to help.